If loud snoring and breathing interruptions are affecting your quality of sleep, you could have sleep apnea. At Optimal Health of Southern Oregon, the experienced medical team offers comprehensive sleep-apnea diagnosis and treatment, including sleep studies and frequency-specific microcurrent (FSM) treatments. Their focus is on improving your overall health and enhancing the quality of your sleep. Learn more about the treatment options available to quiet your snoring by calling the office in Grants Pass, Oregon, today or booking an appointment online. Sleep apnea is a serious sleep disorder that affects your breathing. During your sleep, you experience episodes where your breathing starts and stops. This condition can result in frequent loud snoring and could cause additional health problems, such as heart issues, high blood pressure, and Type 2 diabetes. There are two main types of sleep apnea. In obstructive sleep apnea, your throat muscles relax while you sleep and cause an obstruction that interferes with your breathing. In central sleep apnea, your brain doesn’t send the right signals to the muscles that control your breathing. Those who snore loudly or stop breathing in their sleep usually become aware of the situation only after their partner complains. If you have sleep apnea, you might frequently feel tired, even after a full night’s sleep, and wake up with a dry mouth or a headache. As the result of the lack of quality sleep, you could feel irritable and have difficulty concentrating on tasks throughout your day. 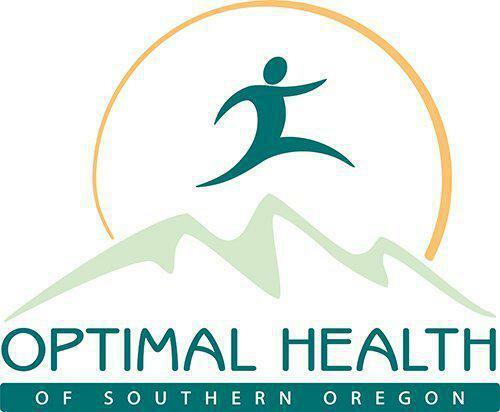 Optimal Health of Southern Oregon can evaluate your overall health and review your symptoms during your consultation. They could refer you to a sleep-disorder specialist who can do a sleep study to confirm a sleep-apnea diagnosis. During a sleep study, the specialist monitors your breathing, heart rate, and other activities while you sleep. Depending on the severity of your sleep apnea, your provider could recommend making lifestyle changes to alleviate symptoms. These changes can include quitting smoking and losing weight. If allergies are making it difficult to breathe while you sleep, they can recommend over-the-counter or prescription medications. They can also work with you to develop strategies to avoid exposure to allergy triggers in your environment. Your provider can also recommend frequency-specific microcurrent (FMS) therapy. This procedure uses a low-level current of electricity to reduce swelling in your airways to alleviate obstruction. This treatment option is painless and noninvasive. Your provider performs the FSM treatment in a comfortable office environment. To learn more about treatment options available for sleep apnea, call the Grants Pass office today or use the online booking feature.